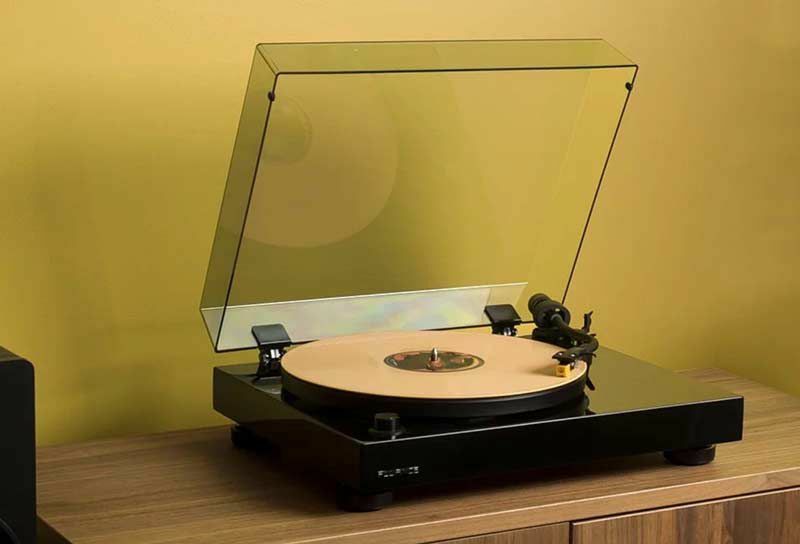 NEWS – Tomorrow April 13th is Record Store Day and to celebrate, the fine folks at Fluance are giving one lucky Gadgeteer winner one of their RT80 Turntables. If you have vinyl, you’ll want this prize and if you don’t have vinyl, this prize will make you want to buy some now! Just answer one simple question in a comment at the bottom of this post and if you’re willing to jump through a few extra hoops, you can earn up to three additional entries which will greatly increase your chances of winning. Please read the details on the prizes and the rules before you submit your entries for a chance to win our spring gadget giveaway prize pack! The RT80 is a high-fidelity turntable built with sound performance in mind elevates vinyl enthusiasts to a new standard in audio, capable of producing rich sounds, providing freedom from noise and distortion and delivering clarity on musical peaks and channel balance. Between now and 04/13/2019 midnight EST leave a comment on this page answering the question below. What was the first record you bought or your first favorite song? At some point on 04/14/2019, I’ll pick one random winner using random.org. The winner will be contacted by email and will have 48 hrs to claim their prizes. If I do not receive an answer to my email in that time period, I’ll do other random.org drawings till the prize pack is claimed. 5. Winner must have a US or Canadian shipping address. The winner is comment #16 from Steve. Congrats to Steve and thank you to those who entered and Fluance who sponsored this contest. Metallica – And Justice for All. First CD I bought, loved it. Went out and bought it on vinyl in college. 1st record was probably “we are the world” when it was at its peak… either that or a duran duran album. Bobby Vee’s Golden Greats, a 1962 release which I didn’t get until 1965 when at last my family got a hi-fi stereo. I still play that LP. The first record I bought was “Physical” by Olivia Newton John. My first cassette was Chuck Mangione’s “Fun and Games” and my first CD was “Electric Youth” by Debbie Gibson. Meco’s “Star Wars and Other Galactic Funk”.